In FX format, the angle of view is 180° vertical and horizontal (circular fisheye) when zoomed out to 8 mm, and 180° diagonal (full-frame fisheye) when zoomed in close to 15 mm*. 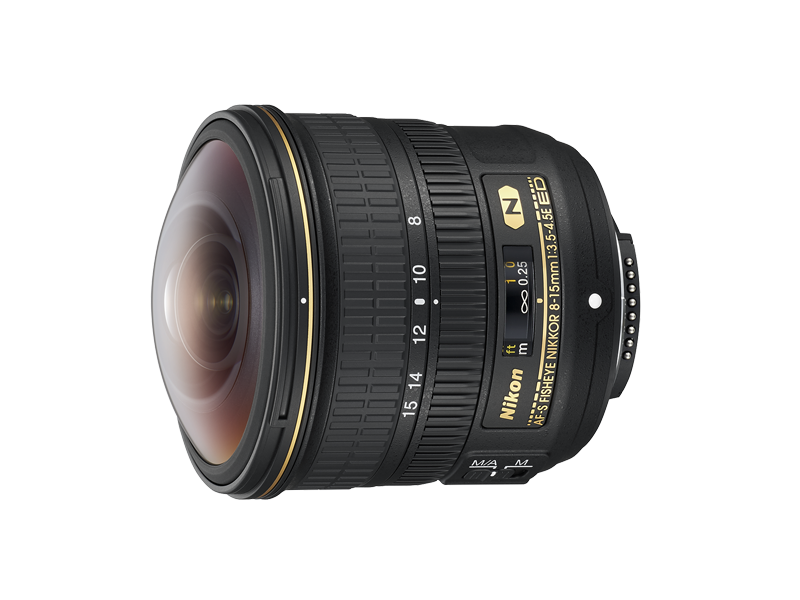 * At exactly 15 mm, the angle of view is slightly smaller, at 175°. In DX format, 180° diagonal full-frame fisheye images can be obtained around the DX mark on the focal length scale*. * Angle of view of full-frame images gradually decreases as the lens is zoomed in. The latest optical design technology delivers high resolution even at the maximum aperture and superb reproduction capability of point light sources all the way to the periphery. Three ED glass elements reduce lateral chromatic aberration for sharp and high-contrast images. Nano Crystal Coat effectively controls ghost and flare effects that are likely to occur with a wide angle of view up to 180°, creating crisp, clear images. 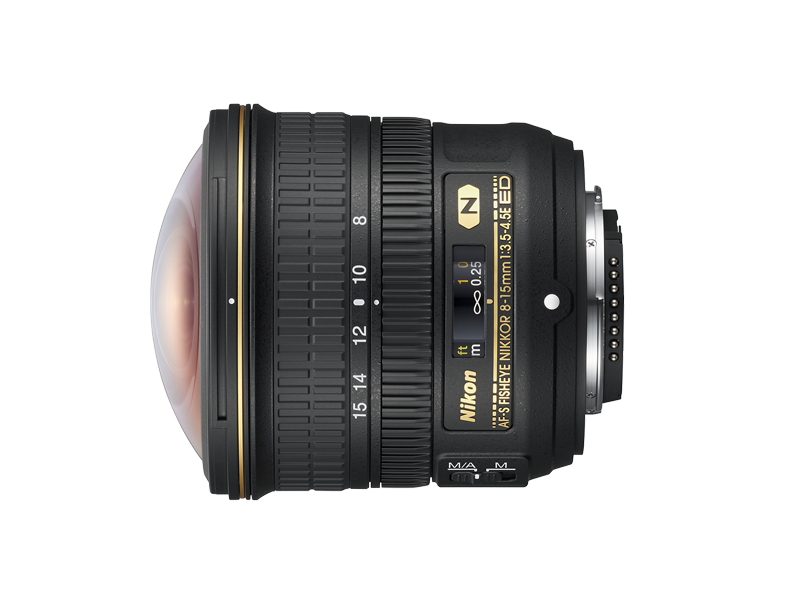 With a minimum focus distance of 0.16 m and maximum reproduction ratio of 0.34x, you can get nearer to subjects. Dust- and drip-resistant structure is employed for enhanced reliability. Fluorine coat applied to lens surfaces ensures easy maintenance.